A recent client and good friend reminded me about my past yesterday, of my days serving in the US Army. He reached out and asked me to spread the word about the Patriot Foundation, an organization that was formed to help support the families of our wounded and fallen soldiers. The Patriot Foundation is an organization whose mission is to provide merit based scholarship funding for children of killed and wounded soldiers and to provide funding for child care for the families of disabled soldiers whose spouses need to obtain additional job training and development. 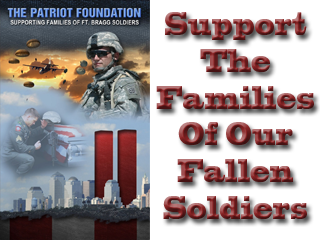 The are two ways that you can support the Patriot Foundation today. 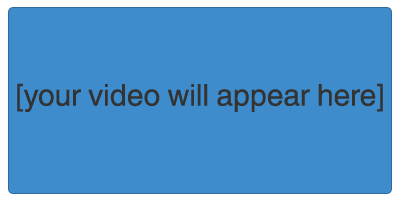 One, you could simply make a donation to the Patriot Foundation by clicking this secure link. Don't think that a small donation won't help, everything helps with this great cause. The second way you can help doesn't cost you a penny. Please view the video below, and then share it on your social networks. You can click the Google +1 button, and even share it among your friends on Facebook by simply clicking the Facebook Share button. All of the other major social networks are there as well. By simply helping spread the word, you can be a major supporter of an organization that helps "take care of family." As you go about your normal business day, remember that we have troops in harms way. And like you, these soldiers have families that have needs that the Patriot Foundation supports. A little help, from a lot of people, can do wonders for the families of our soldiers who have made the ultimate sacrifice. This is one of those times where one person can make a big difference, so please consider yourself that one person who is needed today. Give your support to the Patriot Foundation as your part in saying "thank you" to these great families.